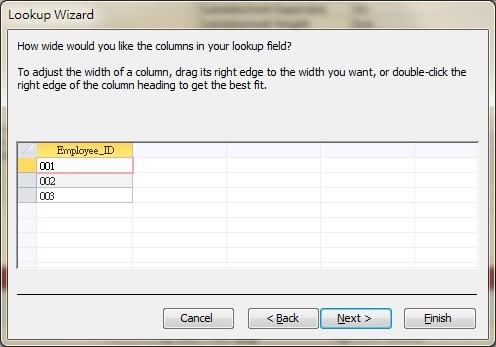 This Access tutorial explains how to add dropdown list in Access Table Field using List Box and Combo Box. Suppose you have two tables. 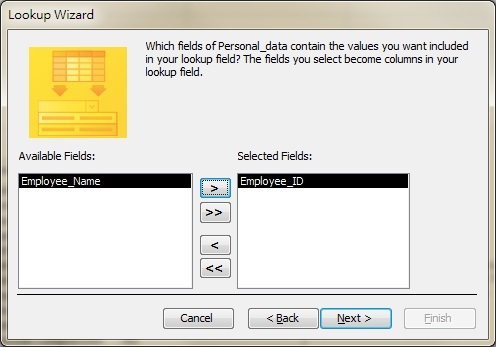 For an HR database, a personal record is created before Job record is created. 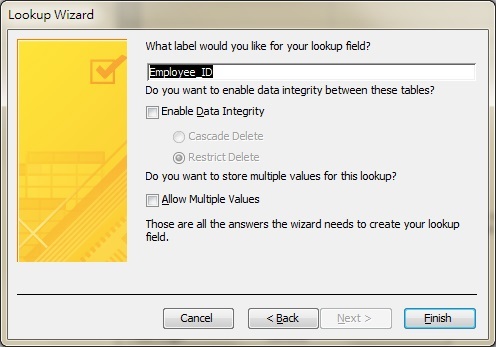 Therefore we can add a dropdown list for Employee_ID in Job_data Table, using the Employee_ID from Personal_data. 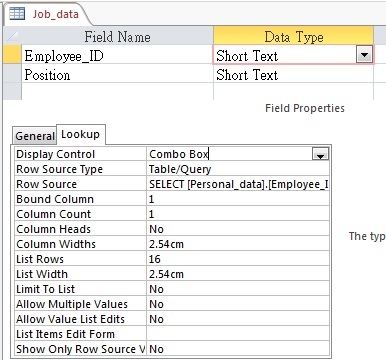 If you don’t know SQL, click on the … button on the right of Row Source, then you will go to Query Builder interface. 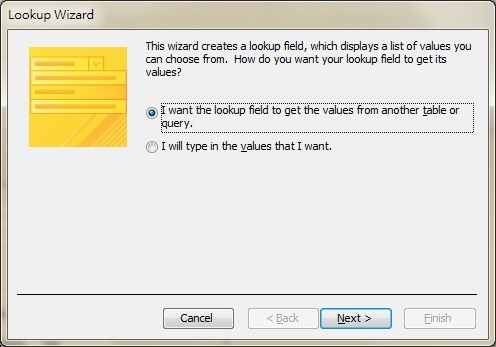 If the value is duplicated in the source, add DISTINCT keyword in SQL after keyword SELECT, or GROUP BY the required field in Query Builder. We just learned how to use another Table Field value as a Row Source, we can also manually define the list value. Let’s say we want to use to select from a list of Position. 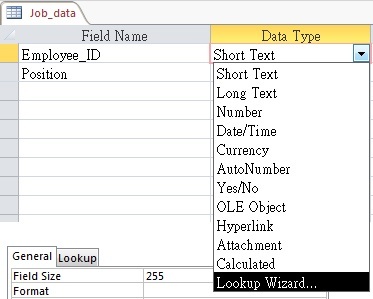 Go to Design View of Job_data Table, set up the Lookup tab of Position Field as below. Allow Value List Edits is optional, but it can help you quickly edit list items in Data View. 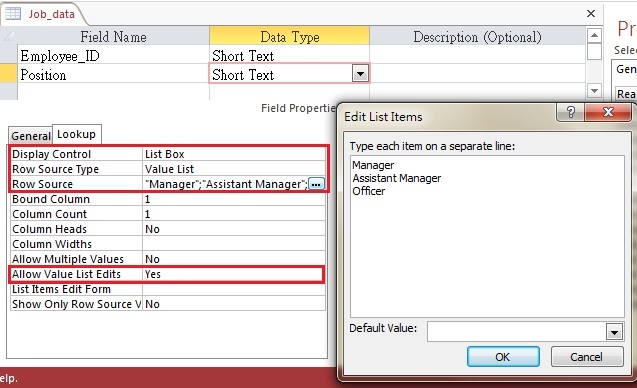 You can do it with Combo Box or List Box, as both Properties in Lookup tab are extremely similar (both allow multiple selection). 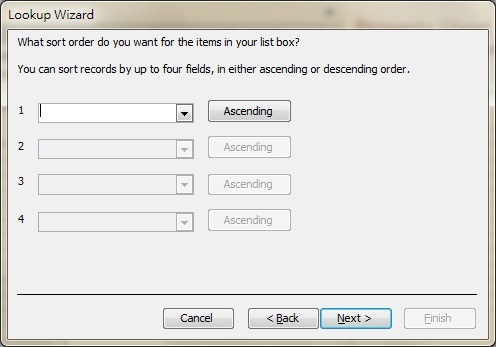 However, I would suggest to use List Box for custom values, because you can edit the Row Source easily using the Edit List Items windows, Combo Box does not have it. 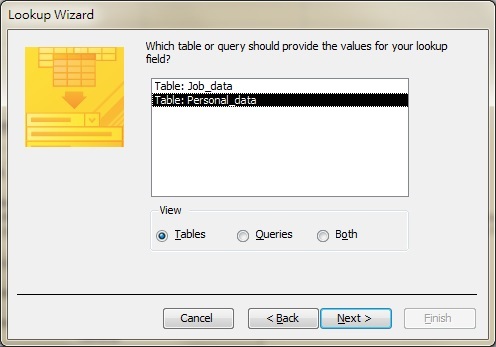 Go to Data View of Job_data Table, you can now select a position.